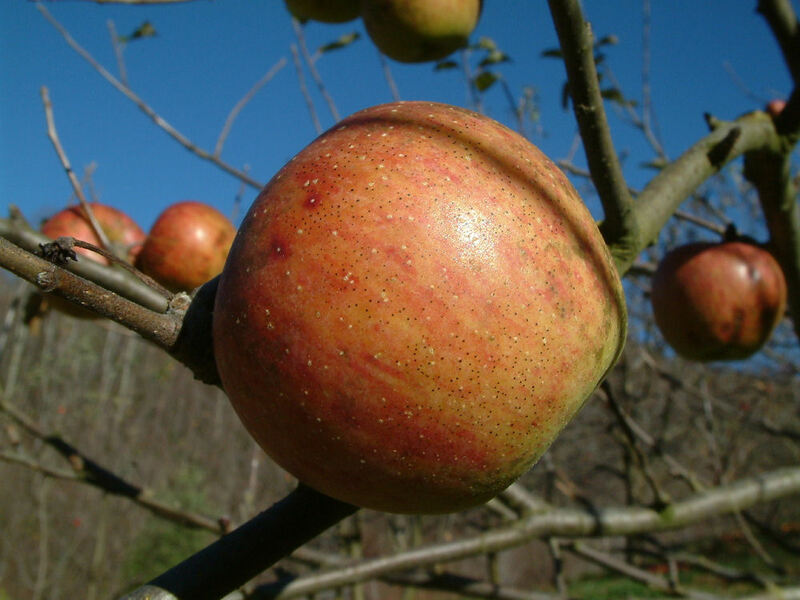 An apple with a long, convoluted history, Ralls Janet first gained attention in 1800 where it was grown on the farm of Caleb Ralls in Amherst County, Virginia. For a very detailed discussion of this historic American apple, see Lee Calhoun’s excellent book, Old Southern Apples. Fruit is medium to large with thin greenish-yellow skin covered with pinkish red and overlaid with dark red striping. The yellowish flesh is fine-grained, crisp and juicy. Ripens in October and is an excellent keeper.